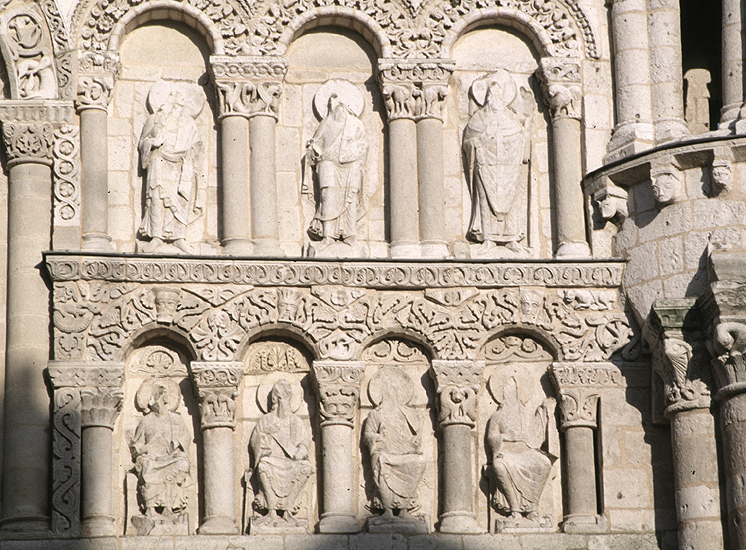 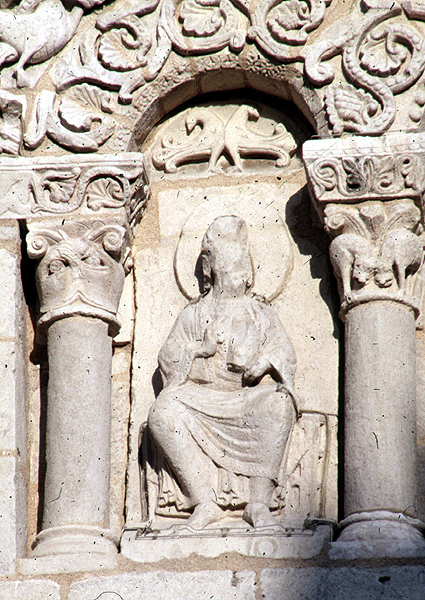 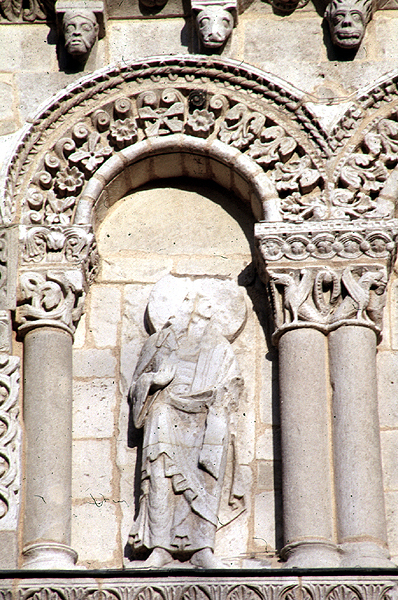 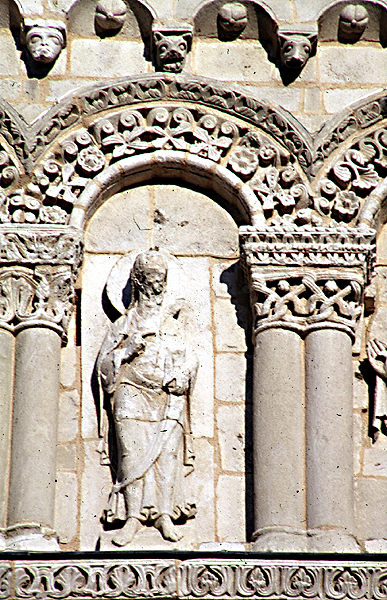 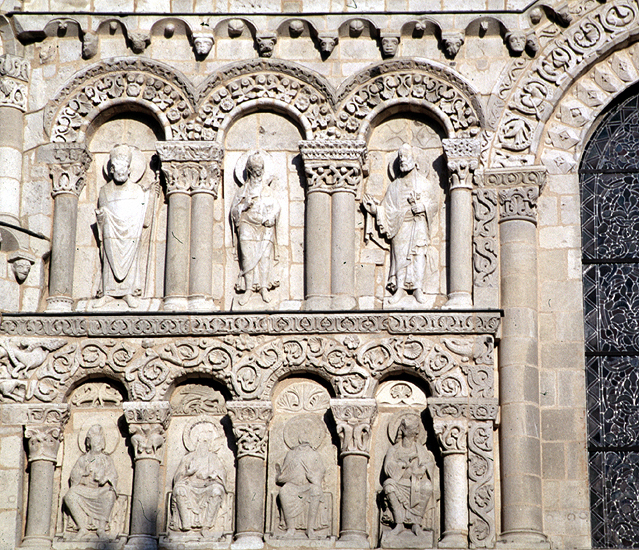 In the middle level of the facade are two rows of large figures in niches arranged on either side of the tall central window. 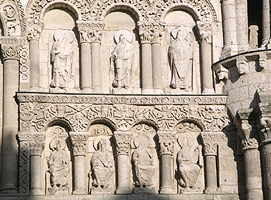 The top row contains six standing figures, the bottom row contains eight seated figures. 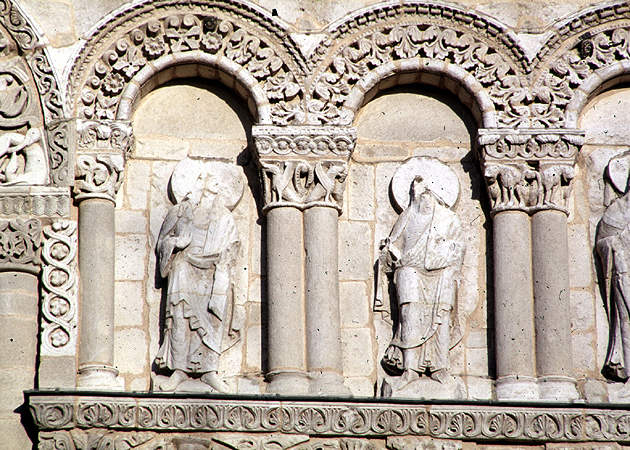 They are generally thought to be apostles or saints. 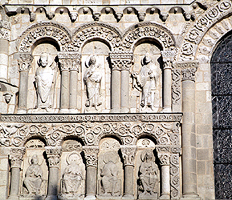 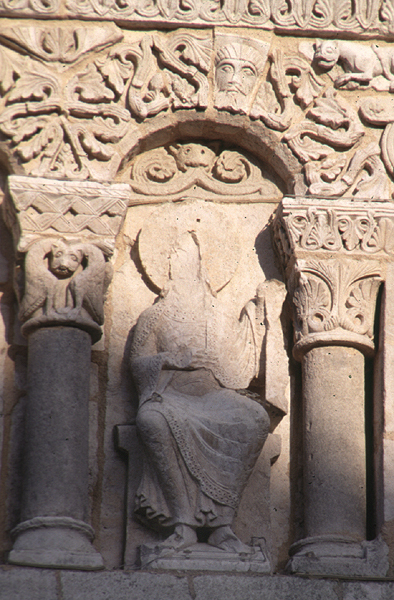 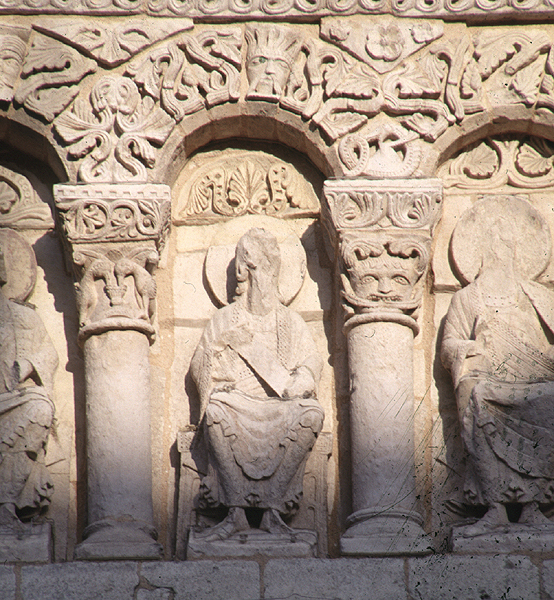 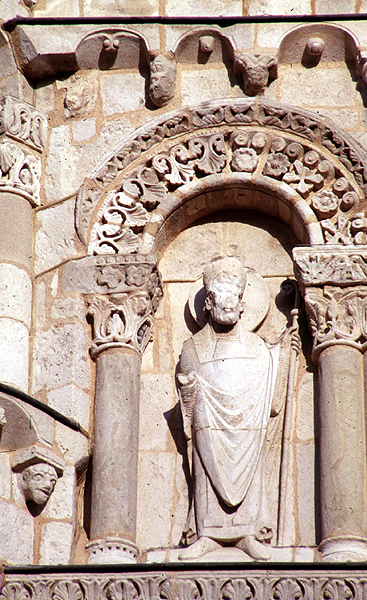 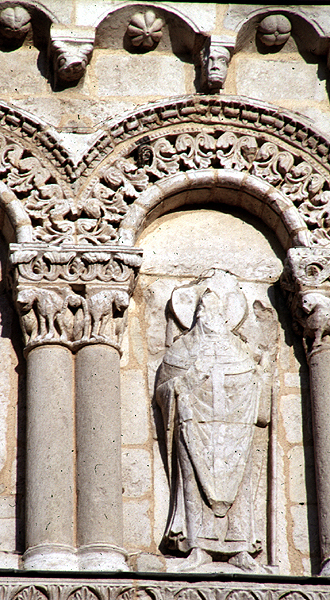 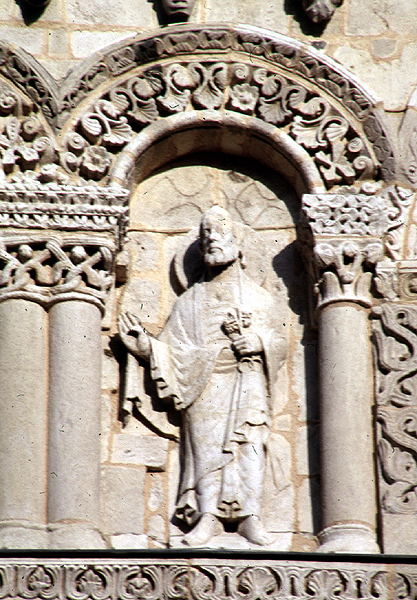 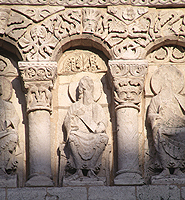 The only identifiable figure is the third from the left on the top row- it is Saint Peter, who holds his keys. 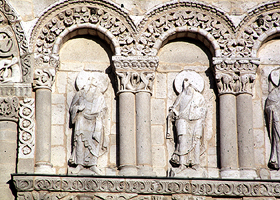 The outer two figures in the top row are dressed as bishops.